I’m sorry, but Jay-Z? No chance. Glastonbury has a tradition of guitar music […] I’m not having hip-hop at Glastonbury. It’s wrong. 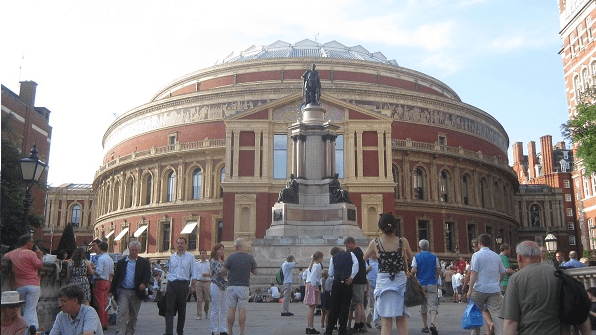 With every year comes the BBC Proms, and with every year a spate of articles and blogs about the state of the festival. This has been my first season as a classical music blogger, and I have been exposed to a fuller spectrum of debate than before, particularly on Twitter. I have been struck by some negative reactions to so-called Prom ‘gimmicks’: the Pete Tong Ibiza Prom being a prime example. Debates about maintaining the purity of highly esteemed cultural events are not confined to the classical world, as the quote above demonstrates. Just as Jay-Z’s Glastonbury set was well received, so the Ibiza Prom seems to have been a roaring success. I’ve also been struck by the fact that rearing its head again is the debate about clapping between movements, which prompted a rather despairing tweet that seemed to chime with a lot of people. Another related complaint seems to be the decision of the BBC to broadcast spoken introductions between movements of pieces on TV, rather than play them all the way through. Many people fear for the integrity of the Proms for a variety of reasons, including the increasingly uncertain future of the BBC itself. I wanted to put down a few thoughts about the festival and what it says about current classical music culture in the UK. Firstly, it should go without saying, but we in Britain are extremely fortunate to have the Proms. Ibiza and Doctor Who notwithstanding, it is eight weeks overwhelmingly dedicated to traditional classical music making, in a spectacular venue, widely broadcast across multiple channels, subsidised by a nationwide license fee that helps make tickets very affordable. It’s the kind of tradition that could so easily not have happened, but which has accrued a loyal following from having done so. It has also gained the sort of ‘national cultural treasure’ status which a wider set of people who are not core classical listeners respect, and which will attract them to occasionally pay attention. In that context, complaining that the odd concert is given to music you don’t like kind of seems lacking in perspective. My response to the announcement of an Ibiza Prom was ‘not my cup of tea, but fair enough’. When I saw the footage and the joyous reactions, I wished I had been curious enough to give it a go. But in any case: if any festival can test the boundaries of inclusiveness, it is surely the Proms. Its huge scale ensures it remains an overwhelmingly classical affair, and the fact that the BBC’s backing means it can afford to risk dabbling in new areas – with no guarantee it will pay off – undoubtedly means that it should. If you think that combining Pete Tong and an orchestra is the wrong kind of experimentation, then you’ve missed the point of experimentation. As for clapping between movements, the reason that debate is so turgid is that it is unsolvable. You can’t reconcile the desires of those who want reverential silence with those who want to show appreciation after a rousing end of a movement. The two are mutually exclusive and neither inherently right. I default in defence of clappers because I’d rather err on the side of allowing people to behave by instinct rather than by adding social codes to the concert experience, and asking the audience to refrain from showing too much appreciation would feel contrary to the inclusive spirit of the festival. Of much more concern to me, as my tweet above outlines, is how continual debate of such relatively trivial matters make the classical music world look out of touch and a bit ridiculous. Particularly when there are elephants in the room like the fact that the Proms still, in 2015, marginalises music by women. As for broadcasting commentary between movements, if it is insightful commentary that helps people to engage with the music at these key markers then I think it could be a very good thing indeed. You can certainly argue about how it should be done (cutaway to a talking head or just subtitles during the music?) but those of us who are already well-versed with the classical repertoire should remember that guidance like this could be a gateway of discovery for somebody who isn’t. There is a greater public service broadcasting argument for helping people approach the music rather than simply providing an in-house concert experience for people who are already regular classical listeners. My main concerns with the Proms are about how much more it could be doing. For new music, for music by women, for non-Western classical music and for the richness of our home-grown heritage, for collaborations across art forms. In many, many ways it does a fantastic job already, but it’s absolutely right that we demand it aim still higher. But what is also surely right is that we are not entitled to a license-fee funded festival of this scale reserved for a purist ‘Temple of Music’ experience. It needs to be a broad church that engages widely and in a variety of ways. My personal ideal for the Proms is to have more risk, more diversity, more creativity about realising the potential of classical music to be relevant to everyone, while exploring interesting connections. Of course it should retain its remit as a festival primarily of classical music, but having diverse appeal within that remit is, in my view, the best way for to be defended against any future squeezes on BBC spending.